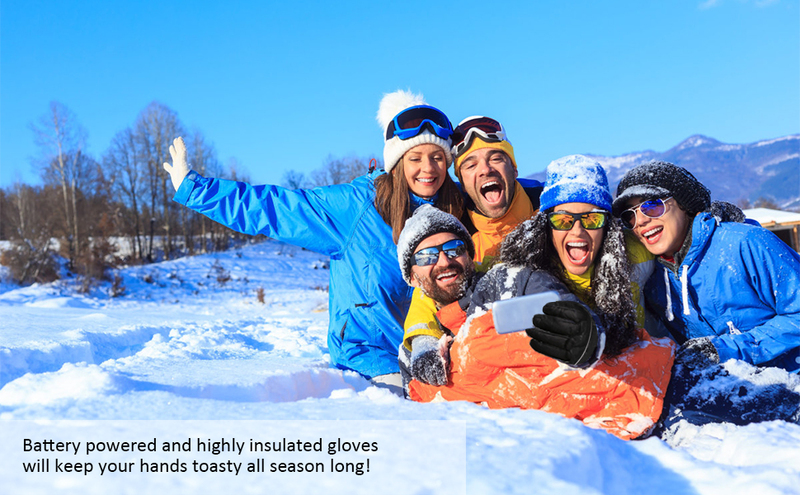 No matter you want to use these thermal gloves for skiing, motorcycle or any other outdoors movement, these thermal gloves are a perfect choice as they are waterproof, you can feel free to play snow with your friends. 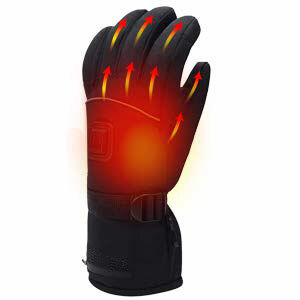 Onboard temperature control button allows easy access to the 3 heat settings providing adjustable warmth. Package Dimensions: 13.8 x 6.2 x 2.6 inches. 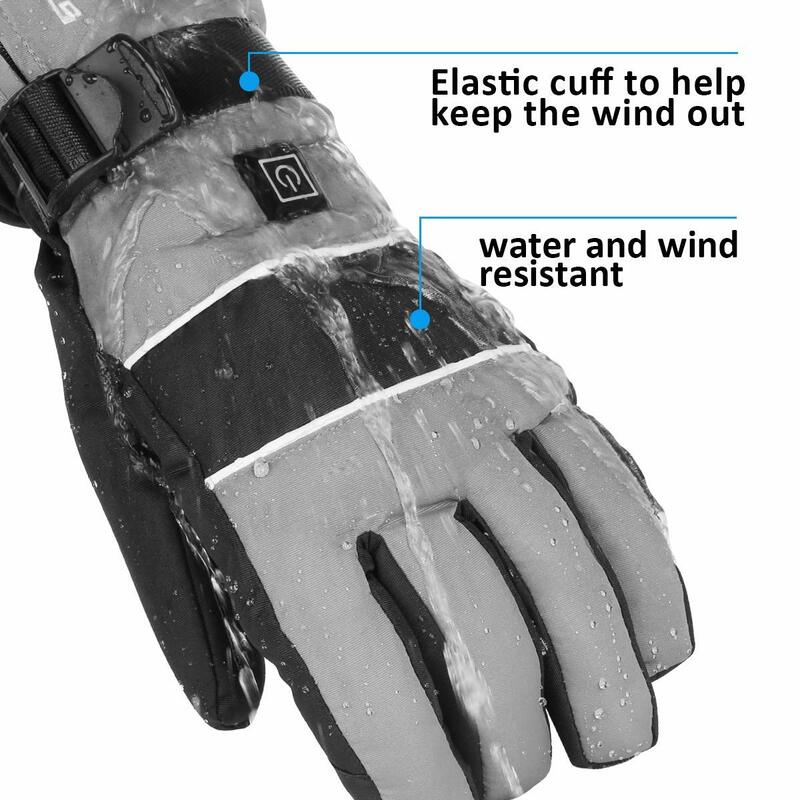 Q1: Can I machine wash these gloves? A1: Machine wash will damage the inside heated components, therefore we don’t recommend machine wash, dry clean or submerge in water. 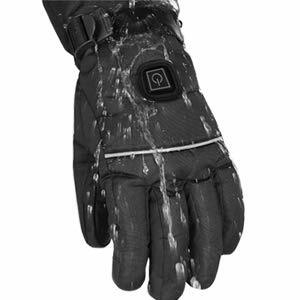 We always recommend wash surfaces with damp wash cloth and detergent and let gloves air dry. 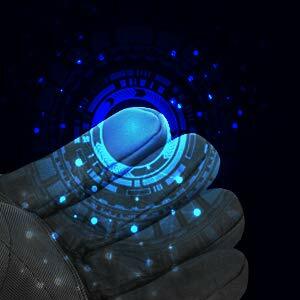 Q2: How to use it? 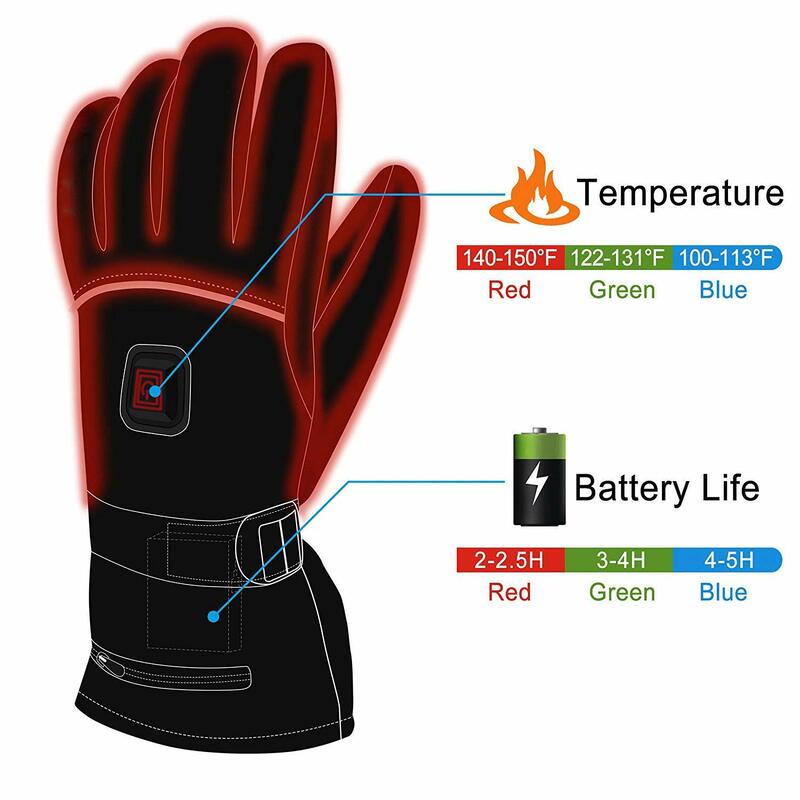 A2: Tips: When you receive the gloves, please charge the batteries for more than 10 hours before the first time use. 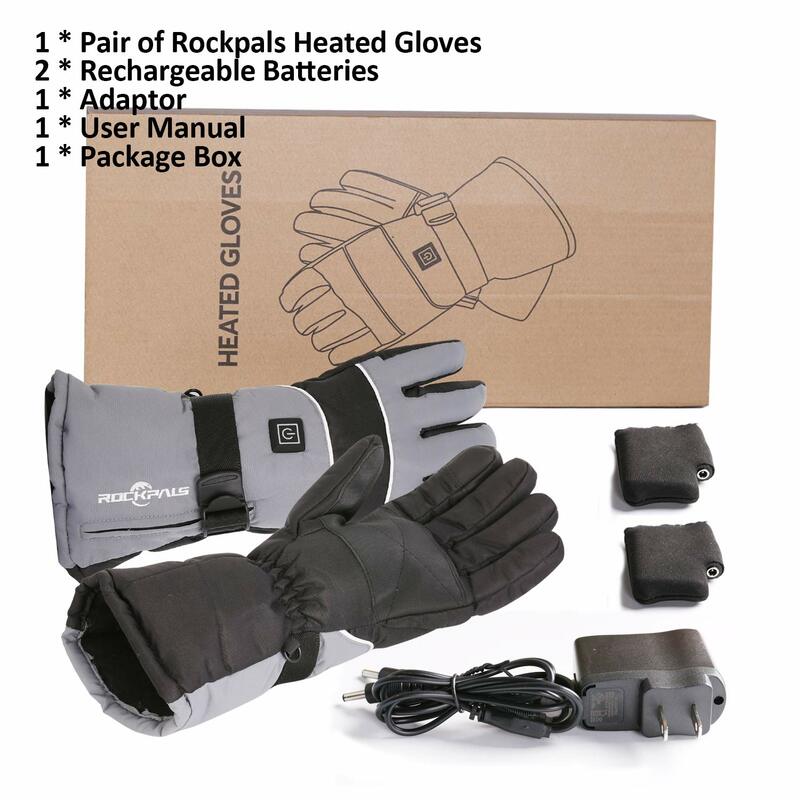 1> Install the batteries into gloves after fully charged. 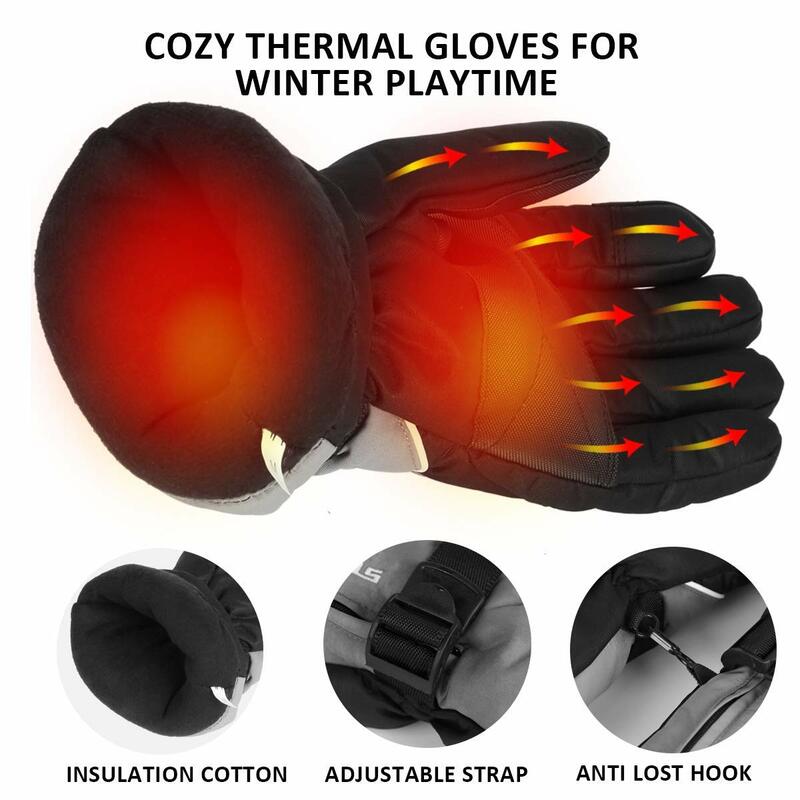 2> Hold the button on the gloves for 2 seconds until the lights on. The red indicator light will flicker and change to permanently on. 3> Press again to change color and temperatures (Red-Blue-Green), the indicator stays on while they operate. 4> Hold the button for 2 seconds to turn it off. No light will appear when power is shut down. A3:Yes, it does. 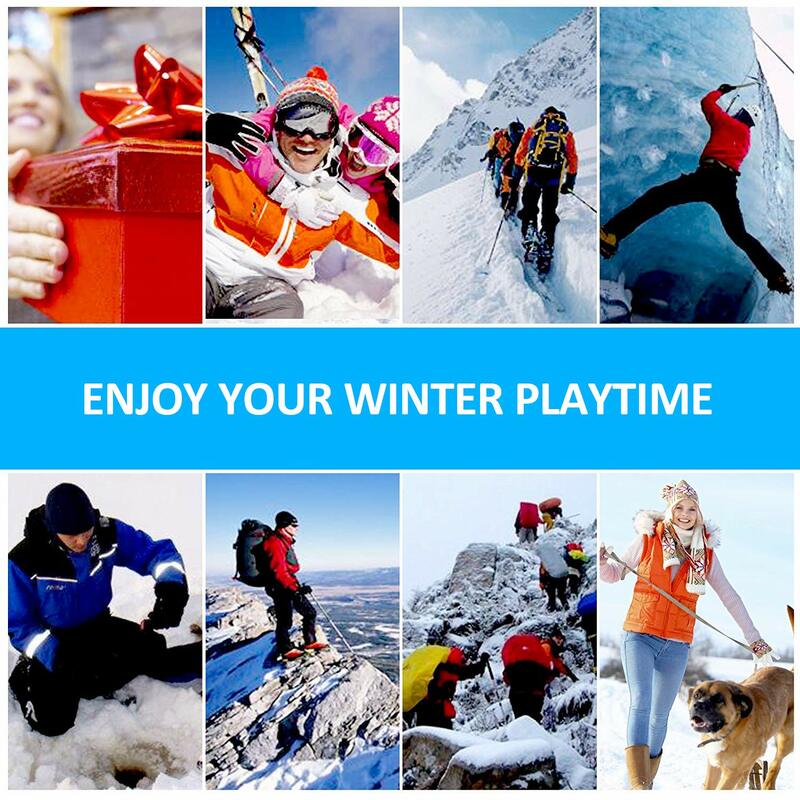 Just enjoy your winter movements with our heated gloves. 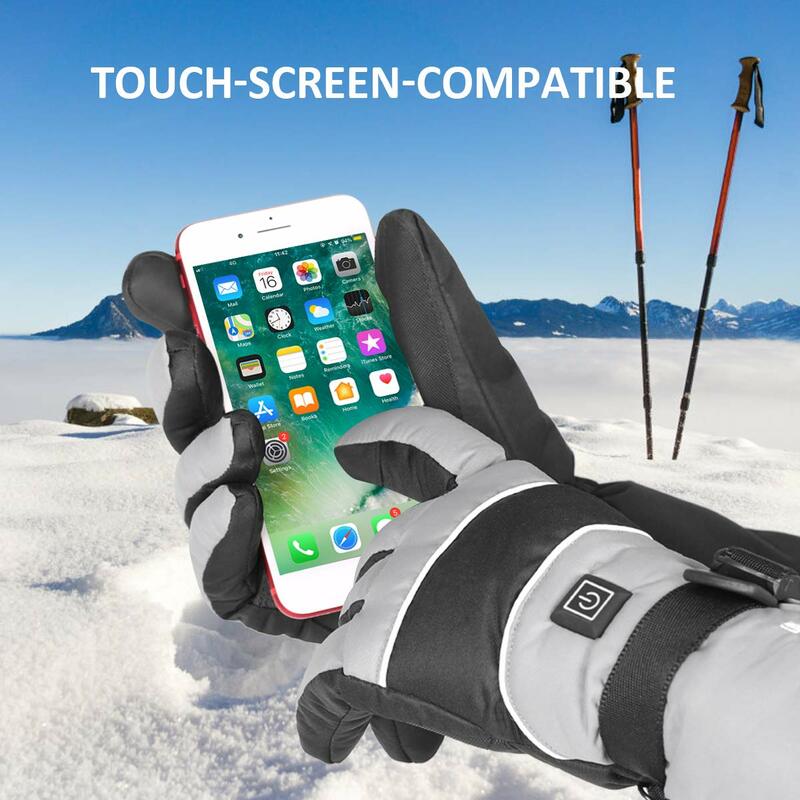 A4: Yes, it is a screen touch gloves. 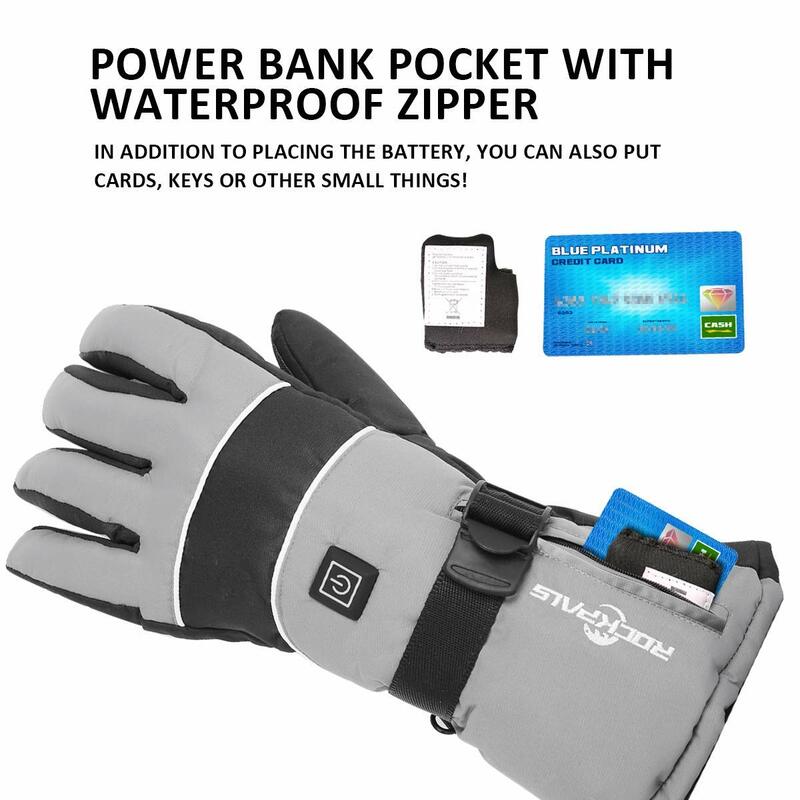 These touchscreen-compatible hand warmers are made of conductive special material, it features in fingertip touch technology so that you don't need to expose your hands in the cold while using phones or other electronic devices. 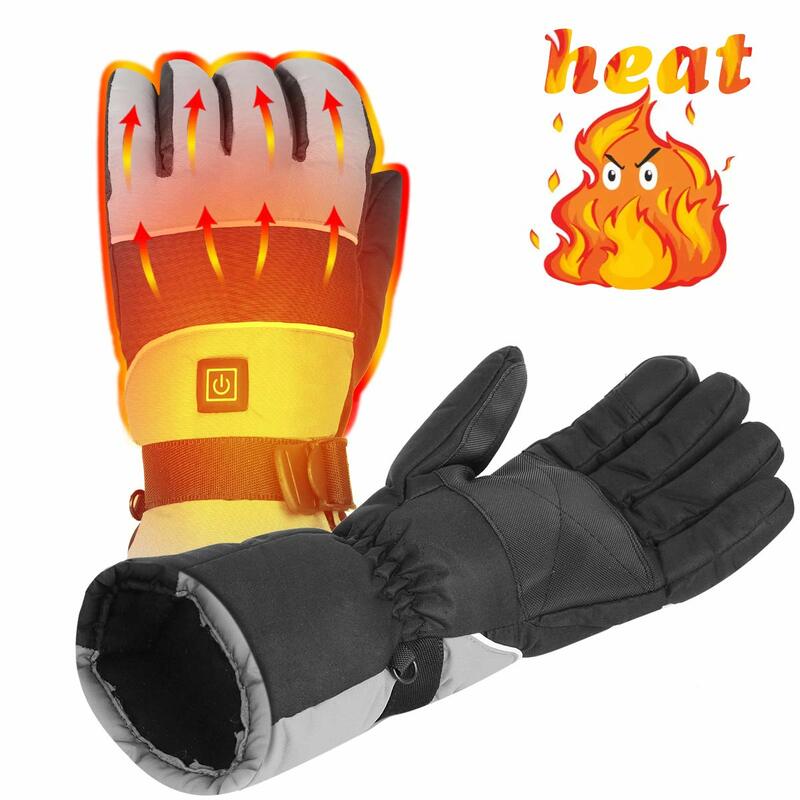 Proper heat will keep your hand dry and comfortable while strong heat will get a sweaty hand and potential danger.